I know we are both retired, and that we now have every day free, but it seems that if we rarely have a spare minute. People did warn me about this! So yesterday I actually wrote on the calendar 'pub lunch' so that we definitely got out and did it. It was a glorious day and we headed out to a little old country pub about 20 mins drive from here that has a reputation for good food. Not a huge menu, and definitely not posh surroundings but a typical old fashioned British pub. We had a fab meal and then went on a little drive around the area where we came across a little barn development which housed some random businesses. An antiques barn, a cafe, a little deli and a shop selling random bits and pieces. 'There's got to be something here that fits the scavenger hunt photos' I thought to myself. And then I saw it, something that fits two criteria in one. Good old Harry Potter! I still can't believe I made it home without actually buying one of these, I'm sure I could have found something to store in it. Carrying on with some of the memes I am joining in with this summer, I've just finished reading The Wife Between Us as part of an online book club. I thoroughly enjoyed it, if you like a story that has a few twists and turns along the way this will definitely keep you interested. I love it when I get a book that makes me want to read just one chapter more! We had to vote for which book we would read and there was another on the list I liked the sound of so when I'd finished the book we were discussing I read Little Fires Everywhere. This was one of those books that I didn't want to end, I want to know what happened to Izzy, Mia and Pearl next! How's your summer reading list looking? OH those Harry Potter crates are fantastic & you showed great will power not buying any. 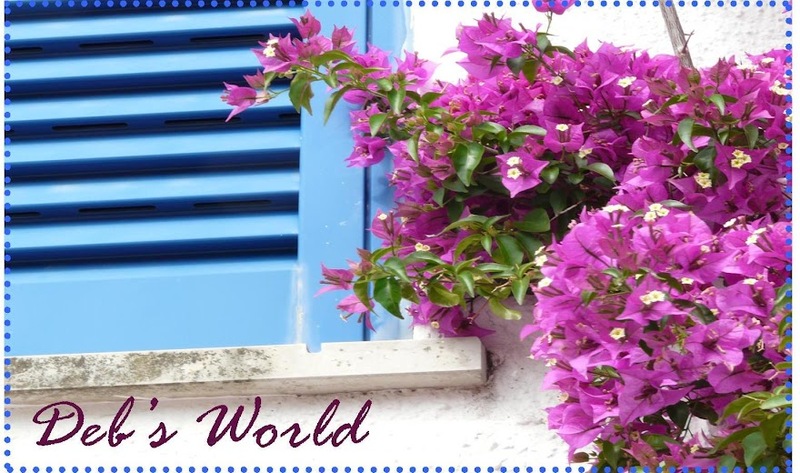 I have a friend that decided she wanted a work world break so quit her job to stay home - except she's never home! (col). You have more willpower than me ... I would have bought one without hesitation. Great choice for the hunt. I'm just finishing Little Fires Everywhere and thoroughly enjoyed it! I'll be trying The Wife Between Us next. 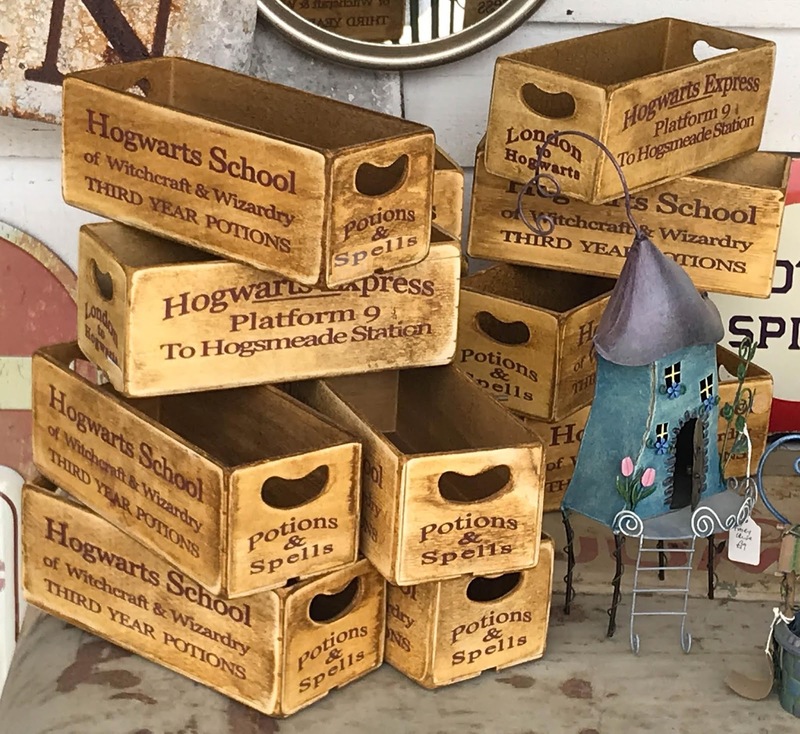 Love those HP crates, I'd have bought one … or two! LOVE the Harry Potter crates! I would have bought at least two - one for myself and one for Sarah. And I would be storing stamps and stencils in mine (if the size is what I imagine, though there isn't really anything for perspective to indicate the true size). Have never seen anything like that here! Yay!! So glad you enjoyed reading our book. Hope this next title will be as good or better. I had sent Before We Were Yours to my mama for Mother's Day in large print. She started it and then said she started it again, which worried me. But I spoke with her yesterday and she is almost finished and LOVES the book. She got a little mixed up at the beginning and told me to caution our book club members that they might need to read the first bit twice. But she has thoroughly enjoyed it. Yay!!! I'm another one who would have purchased a Harry Potter box, though I don't have an immediate idea of how I might have used it. If you liked Little Fires Everywhere, did you read her first novel, Everything I Never Told You? It was even more powerful than the second novel, and our couples book group had a great discussion about it. I finished Educated a few weeks ago, and it might be my favorite book of the year so far.